If you are one for entertaining and mixed drinks this lovely corner drink cart is a great idea. 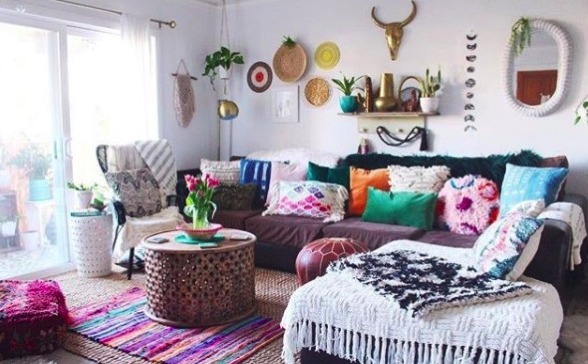 The knick knacks she placed on it along with the fun colorful garland really make it interesting. 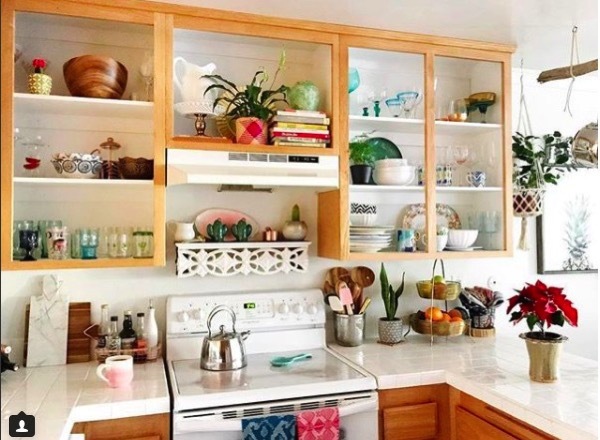 Usually I’m not a huge fan of open kitchen shelving, but I love what she did with this space, it doesn’t feel crowded at all, it feels very open and inviting. 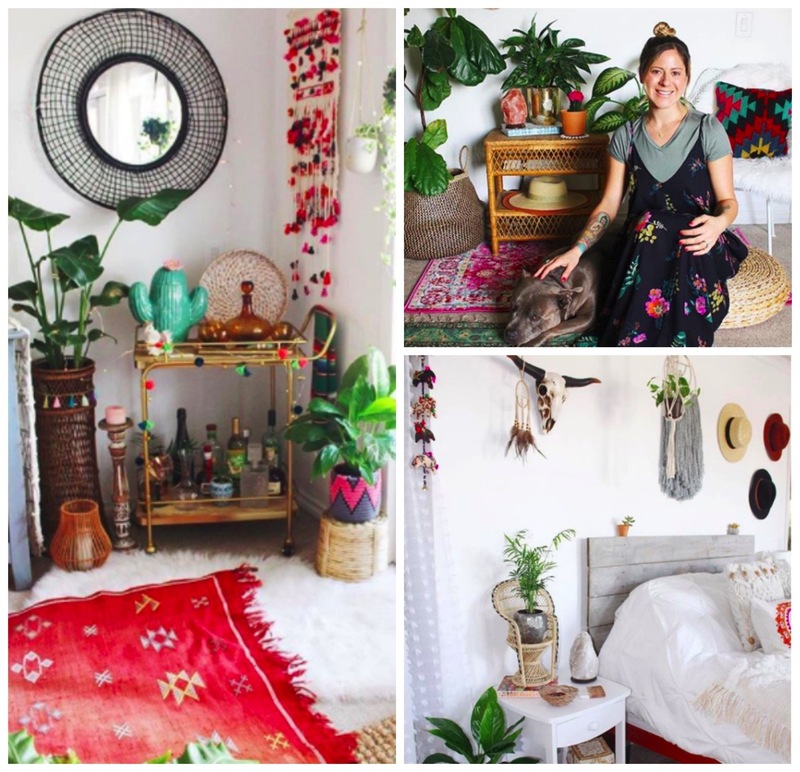 She created a lot of variety in the layout with mixing shapes and sizes of items, this a kitchen I could do some cooking in for sure! 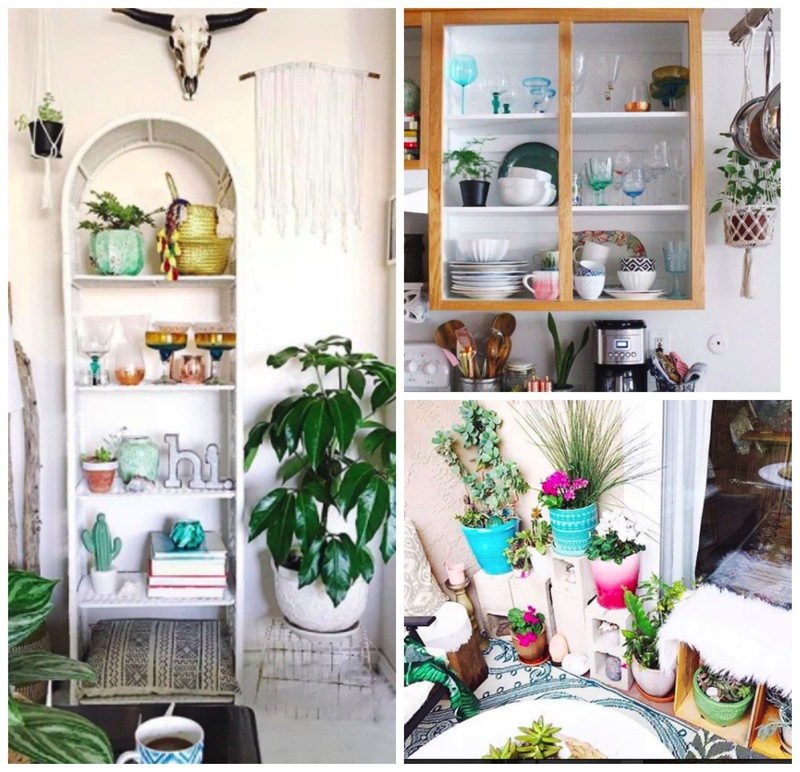 I’ve lived in a few places with very tight patio space, and being a person that doesn’t want to give up my plants I’ve used this method for displaying plants in the past, it works like a charm and you can even paint the blocks if you like! 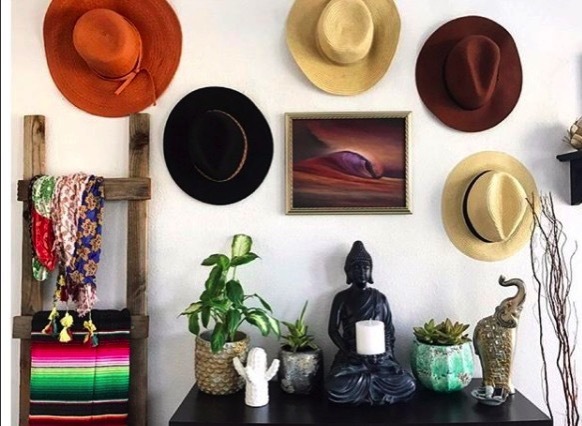 This caught my attention right away, I’m a huge hat person, I can really get into how she used the hats as decor, very cool. 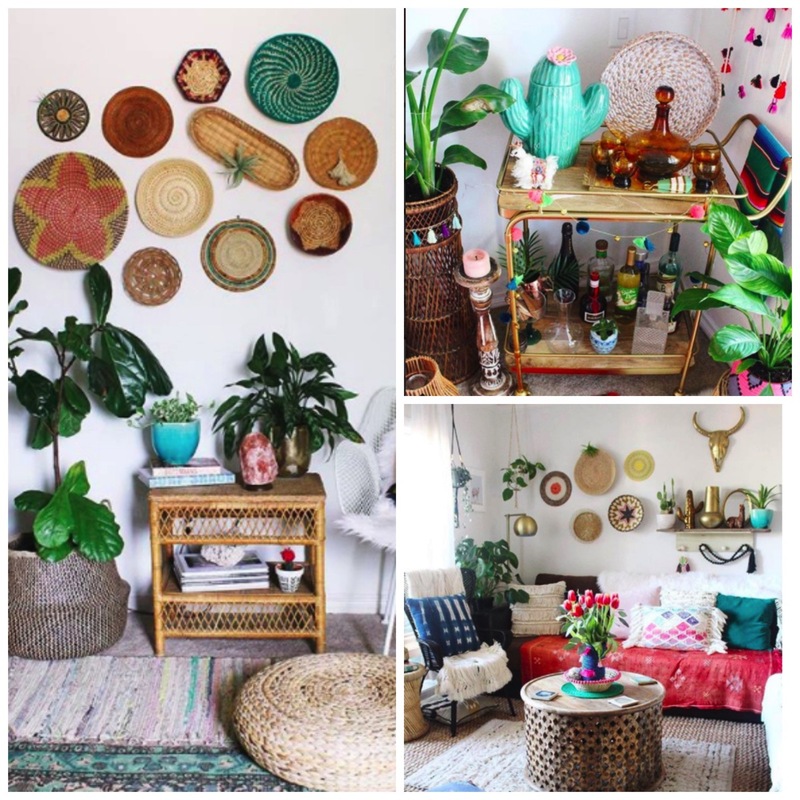 Great example of incorporating a collection into a room scape, great. 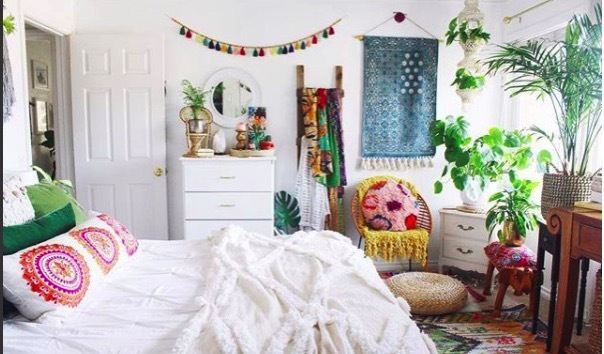 What a bright and cheery bedroom love the amount of light and good positivity in here!